Often referred to as the “tree of immortality” due to its diversity of over 90 different nutrients and reported health benefits, Moringa is also considered one of the best natural anti-inflammatories in the World. Moringa is packed with Amino acids and contains high amounts of Beta Carotene which is known to increase cognitive function. A truly complete food, Moringa contains minerals, nutrients and all nine essential amino acids. High levels of Beta-Carotene helps the brain in good function. Amazing anti-inflammatory properties come from so many nutrients & minerals. Antioxidants helps the body remove free radicals, which cause damage to cells. Moringa is an incredible super food that it is often referred to as the “tree of immortality” because it contains over 90 different nutrients and has a wide range of reported health benefits. 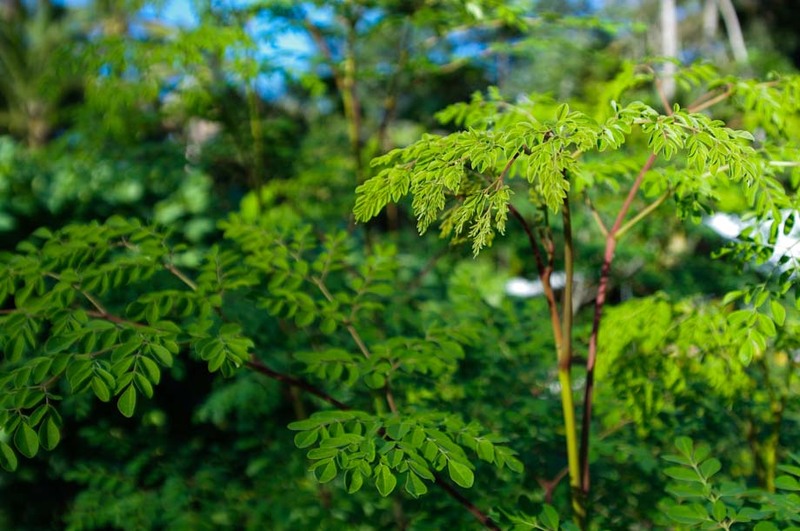 WHAT MAKES OUR MORINGA SO SPECIAL? Our Certified Organic (ACO) Moringa grows in Erode, Tamil Nadu where it is considered native. Organic underground water is used to irrigate the trees. No pesticides, herbicides or additives are used at any point during the growing or processing of this Moringa. Moringa powder is the best, is the only green in my morning smoothie. My husband and I are 74 and 75, have loads of energy and everyone tells us how young we look. Fab product. I have this daily as I find my energy levels and well being have increased since using. Also a bonus that this is very nutritious and pleasant tasting. Great quality Moringa and packaging is good and content is fresh smelling every time I open. Moringa is considered to be an incredible natural anti-inflammatory. This incredible super food contains a whole host of compounds which are known to be beneficial in the reduction of inflammation, including: Vitamin A, Vitamin B1, Vitamin C, Arginine, Beta-sitosterol, Omega 3, Omega 6, Omega 9, Fiber, Isoleucine, Magnesium, Potassium, Quercetin, Rutin, Selenium, Thereonine, Zeatin, Zinc, etc. Moringa contains over 46 different antioxidants and is considered to have an ORAC rating 50% higher than Acai. Traditional medicine from certain parts of Asia has always attested to the anti-tumor properties of Moringa. In 2003 a study was conducted on mice with papillomas whereby a portion of the mice were given Moringa over 14 days. The researchers observed a “significant decrease” in the percentage of mice with papillomas and the number of papillomas per mouse in the group that was given the Moringa. The authors of the article concluded that “these findings are suggestive of a possible chemopreventive potential of Moringa oliefera drumstick extract against chemical carcinogenesis.” (Bharali. 2003 – full journal article). Amino acids are important for a whole range of body functions including; immunity, fat breakdown and proper muscle function. Moringa not only contains all 8 essential amino acids, it also contains many non-essential amino acids including; Alanine, Arginine, Aspartic Acid, Glutamic Acid, Glycine, Histidine, Serine, etc. 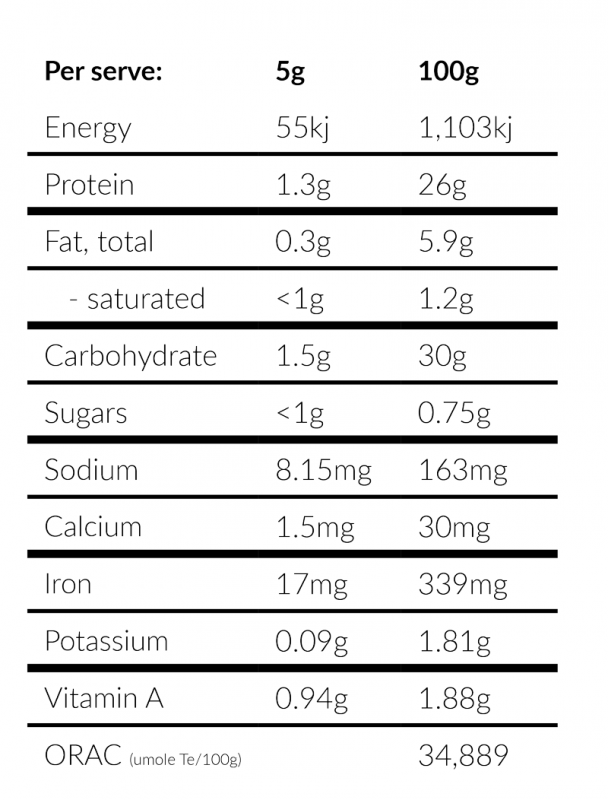 Moringa contains 10x more Beta-Carotene than carrots and 25x more iron than spinach. It therefore improves the ability of the blood to absorb oxygen by increasing your haemoglobin levels. As the oxygen supply to the brain increases the brain begins to function better. Warning for those trying to get pregnant: There is some evidence to suggest that Moringa (in high doses) could be a natural abortification. Please do not take if you are trying to get pregnant. Always consult a professional before making changes to your diet. Start with half a teaspoon and work up to 1 teaspoon (5 grams) gradually. Add to your favourite juice or smoothie for an all important nutrient boost! Ingredients: 100% Organic Moringa Leaf. Grown in India. Tamil Nadu, India where it grows naturally. Felt the effects very quickly and have been using it daily. Have been using this for 2 weeks now. A bit hard to mix with liquid. Would blend better in a smoothie . Feeling good so far but not jumping out of my skin yet! My mum has been taking Moringa for a year now to help with her Diabetes, and she saw results/drops in her blood glucose level only months after she started taking it. She now continues to take Moringa to maintain it at the lower levels, and has even halved the medication she used to take for Diabetes (Type 2). Now I’m not saying this is a definite cure, and it may not work for everyone, but it definitely helped my mum’s blood sugar levels and she is thrilled with the results. This is the first time we’ve tried this brand of Moringa powder and it’s the best so far in terms of taste! Kinda smells like matcha but taste is neutral enough to enjoy. We tried some other brand previously that had a more ashy smell and taste to it which wasn’t very pleasant. 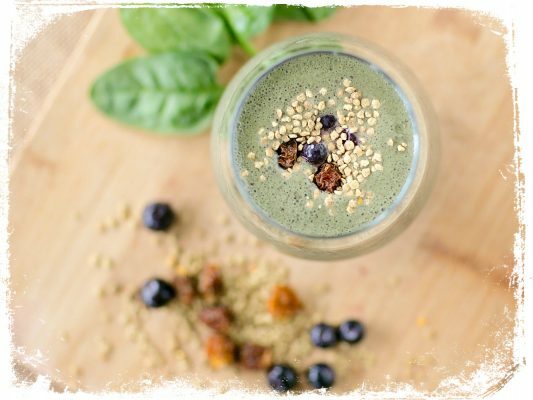 I make a smoothie with blueberries and Moringa. Love the extra energy. I’ve noticed I’m sleeping a lot better. 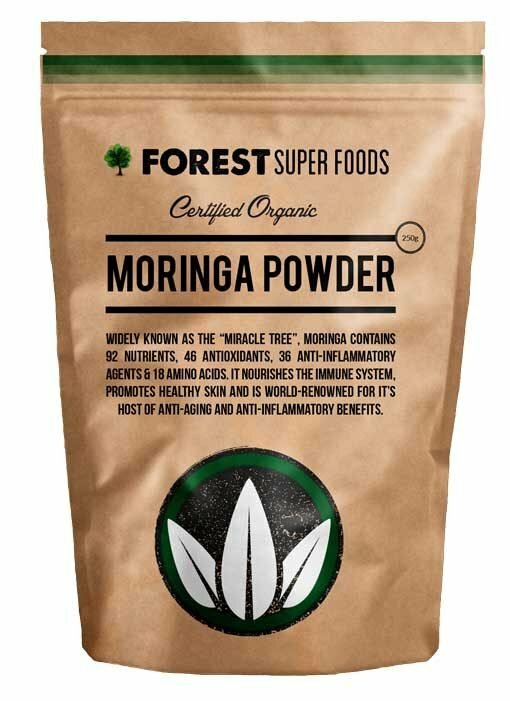 Good quality moringa powder compared to others I’ve bought elsewhere. Will definitely repeat purchase especially if there’s discount in bulk purchase.. I am a regular user of superfood products and other natural nutritional supplements. 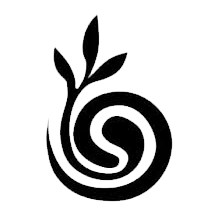 I have been vegan for seven years and live and active and busy life style. After just 10 days of using Forest Super Foods Moringa Powder I have noticible amounts of increased energy particularly in the afternoons. It has also been amazing for bloat and upset tummy after recently suffering from a parasite. This is a product I see myself using throughout my entire life. At the moment I’m using it in conjunction with Divine Woman. I have been getting creative using it in sauces and dressings, pancakes and other recipes. 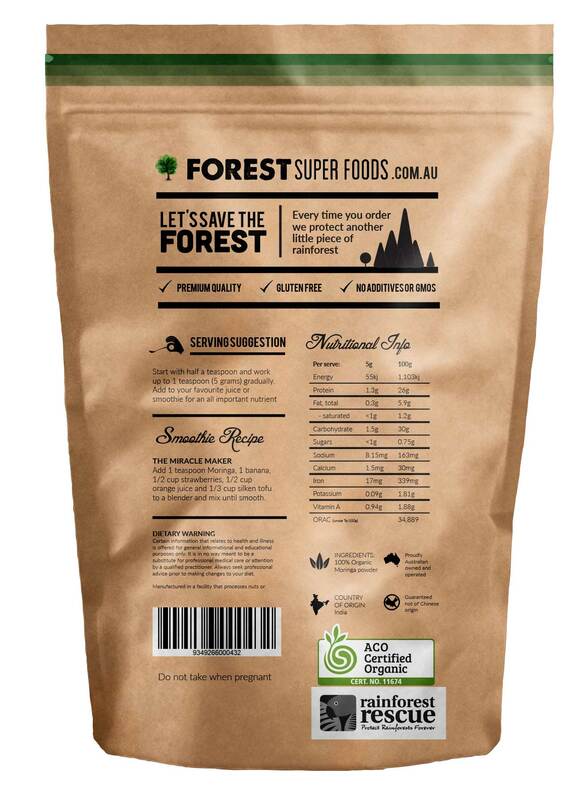 I can happily say I will switch to Forest Super Foods for all of my supplements from now on. And how awesome is the input towards preventing deforestation! 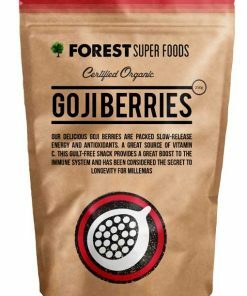 Thanks Forest Super Foods your a game changer! 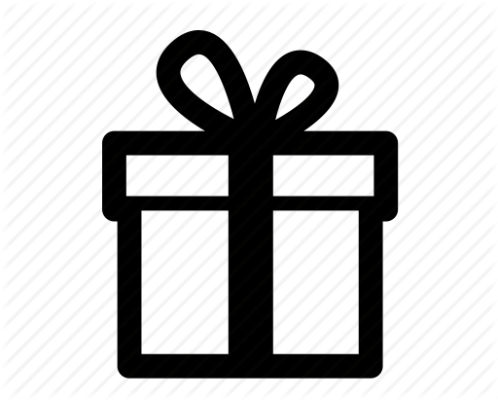 This is the first time I have used this product and website. It was a very easy process in terms of the ordering and they were great in keeping me informed. I have started off slowly using this particular product but already have found my energy levels are much better. It’s been a week of taking moringa powder every morning with a smoothie. Haven’t noticed any dramatic difference in the way I feel but I believe in this product and am sure it will deliver long term health benefits. I find the taste is very strong even if mixed with lots of fruits but it will be part of a morning routine for many months to come! I continue to re-order because Moringa is such a powerful substance. A bit dear but then i don’t need to use a lot each time. Seems to be of very good quality. 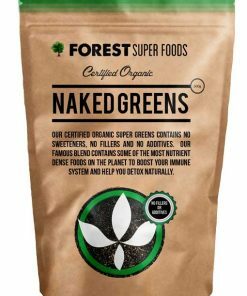 I’m looking forward to receiving my Forest Superfood Purchase as I was recommend that it was a great product, however $27 (not far off the cost of the actual product being delivered) for delivery is unreasonable. I live in a capital City (NT), and all other capital city have a cheaper delivery fee. I was told we are remote city, I think Forest Superfoods should consider giving the people who live in remote area’s the option of using Express post via Australia Post just to bring the cost down for the buyer! Very fast delivery service ! I will let you know how things go with my wife’s tumour as she needs to build her immune system this Moringa and the Spirulina should help along with a good diet. Organic Moringa Powder – great value! 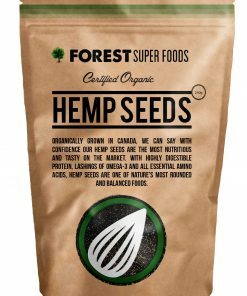 I had been using another brand until I found Forest Super Foods. Great value, excellent service and freight free to boot! I haven’t been using Moringa for long, but I already feel great having use the Super Greens and Wheat Grass powders for some time. Thank you for providing such quality products. Moringa has so many essential vitamins. I love using it and was mortified when it went out of stock, but true to Forest they have sourced another great product. Couldn’t believe how quickly I received my order – 2 days! Thank you for that. I didn’t realise that the Muringa powder would be so fine, especially after I had been eating the leaves! Slightly different taste, but I guess that is because it has been dried and powdered. Is any of the goodness lost because of this? Prefer having it in a green smoothie instead of on food where it tends to stick to everything, but also have it that way also! I have never tried the product from anyone else so cannot compare. Happy with the review about that. So Glad that your Moringa is available again. I’ve had to source it from other suppliers and the quality was always lacking by comparison. The quality of Forest Super Foods Moringa is the best by far on the market. Has a very unique flavour. Was unusual at first, now it’s a must have with my shake in the morning. I play college basketball at a high level in the United States and this product has helped my energy levels to increase to help improve my performance! 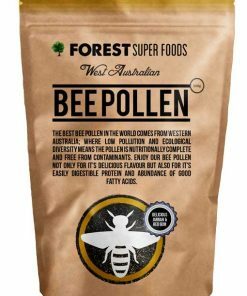 The best pollen in the World comes from Western Australia. Our ethically harvested WA boasts a wide array of vitamins, minerals, antioxidants and protein. The flavonoids in bee pollen assists cognitive function, whilst helping reduce inflammation. There is no better-tasting bee pollen in the World and it’s honey-like malty flavour can be used in or on-top of smoothies, added to desserts or simply eaten by the handful. 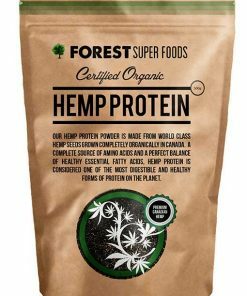 Grown in Canada, our Certified Organic hemp protein power boasts 50%+ highly digestible protein and contains all the amino acids, including the nine essential amino acids your body cannot produce and therefore needs to obtain from dietary sources. Your body uses protein to grow and regenerate muscle. 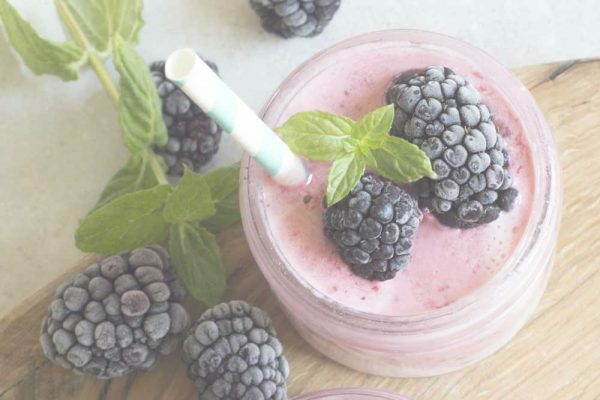 Hemp protein contains a healthy amount of Omega-3 fatty acids, which reduces inflammation, lowers blood pressure and decreases the risk of heart disease. The large amount antioxidants found in goji berries help reduce oxidative stress and inflammation. High levels of Vitamin C and A boost the immune system and help stave off the common cold. A good amount of beta-carotene promotes healthy skin, while the antioxidants found in goji’s (particularly Zeaxanthin) protect the eyes from macular degeneration. With an abundance of minerals and nutrients, just one serving provides a quarter of your recommended daily intake (RD) of Iron, 80% of the RDI of Magnesium and over 100% of the Manganese RDI. Loaded with healthy fats Omega-3 and Omega-6 and in a perfect ratio, hemp seeds promote cardiovascular health. Rich in gamma linolenic acid (GLA), hemp seeds help to balance hormones and reduce inflammation to help with arthritis and joint pain. Why naked? Because there are no fillers, no additives, no sweeteners... just a powerhouse of green super foods that assist with weight loss, increased energy and endurance and that help the body detox from heavy metals. Wheat and Barley Grass provide masses of chlorophyll and nutrients. Spirulina and Chlorella have high amounts of iron and protein and the addition of Moringa provides over 90 nutrients, 46 antioxidants and acts as a powerful anti-inflammatory.